Limited accommodation is available on site at the University of Greenwich. Three nights accommodation (Thurs/Fri/Sat) on site in the Daniel Defoe student halls at £80 per night. Breakfast option available. Our invited speakers will be offered accommodation in the same location, so you never know who you might be staying next door to. The least expensive hotel nearby is the Travelodge (about 15 mins walk from the conference). Currently double rooms range in price during our period between £50-£85 per night. Located opposite the conference (5 mins walk), rooms range in price from £135 – £169 per night. Located near the conference (5-10 mins walk), rooms range in price from £80 per night for a double. Located near the conference (5-10 mins walk), rooms range in price from £90 per night for a double. AirBnB offer apartments in the area for as little as £46 per night and vary in price, space and location. Apartments are nice alternative for couples and groups, especially, as the prices are very competitive. Staycity from £90 per night for upto 3 people sharing costs. A number of hostels are available in the area and range from £20 per night. The hostel search engine hostelworld.com is recommended as this sorts hostels by location, price and quality rating. University of Greenwich campuses are easy to get to by train, bus and car. Each campus is also within reasonable travelling distance of major UK airports and ferry terminals, including Heathrow, Gatwick and Dover. Use the following Google Map to get directions to and from campus. Breaking Convention is held at the Old Royal Naval College. Or see below for information about getting to Greenwich by train, foot, car or river. Southeastern trains provide direct services from London Charing Cross, Cannon Street, Waterloo East and London Bridge to Greenwich Station (Travel Zone 2 or 3) a 10 minute walk away from campus West Gate Entrance. There are also direct services from the Medway towns taking around 50 minutes, though a change at Charlton or Dartford is usually required. If you are travelling from Kent, alight at Maze Hill Station (Zone 3) which is less than a 10 minute walk from campus the East Gate Entrance. For timetable information and a route map, go online to Southeastern. Cutty Sark DLR Station is just a two minute walk from the campus West Gate Entrance. Direct services run from Bank, Canary Wharf, Lewisham and Stratford and easy connections are available from Tower Gateway, Beckton and London City Airport. When exiting Cutty Sark Station turn left, walk past the bank and shops, then cross the road onto College Approach. Walk down and enter the Old Royal Naval College at the West Gate. 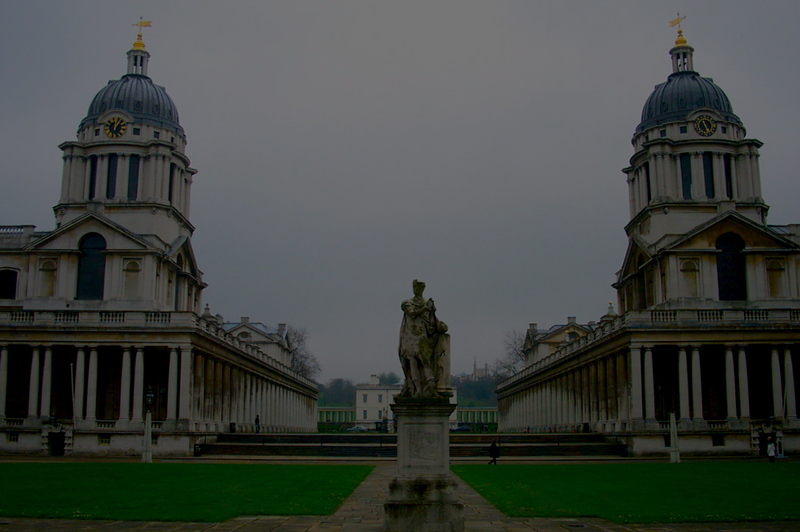 The campus is part of the Old Royal Naval College. Access to the campus from the London Underground requires transfer onto other public transport. The best option is to get off at Canary Wharf (Jubilee Line) and get a DLR Lewisham bound train to Cutty Sark. Alternatively at North Greenwich (Jubilee Line) take a 188 bus to the campus. The campus benefits from good bus services. The routes listed below stop just outside the campus (the 286 provides a direct route from Avery Hill Campus): 129, 177, 180, 188, 199, 286, 386. From the M25 take the A2 Junction 2 towards London. The distance is then approximately 15 miles. Continue onto the A102 (if travelling from East London on the A12 join the A102 via the Southbound Blackwall Tunnel). Exit the A102 via the slip road for the A206 and follow the signposts for Greenwich. Continue into Greenwich along this road for approximately one mile and shortly after the BP garage turn right at the traffic lights into Park Row. There is no visitor or student parking on campus but there is a public car park opposite in Park Row as well as other car parks elsewhere in the town centre. Greenwich Council provide more information on parking. The ride from Avery Hill Campus takes around 30 minutes using the suggested route on Google maps. Cycling is not permitted on the campus except along the designated national cycle path adjacent to the river. Information on cycle routes is available from Transport for London. Cycle parking is available at either end of the campus. Showers are are provided for cyclists in Queen Anne Court on the second floor and in the Dreadnought Library on the first floor. The nearest Transport for London Barclays Cycle Hire location is in Island Gardens just north of the river (see note on walking below). Transport for London provides useful advice on bike security. In all cases bikes should be secured and are left at the owner’s risk. At present there are no specific locker facilities for cyclists. For further information on cycling see the University’s Cycling and Walking page. The campus is connected to many pedestrian footpaths including the Thames River Path. The Greenwich foot tunnel provides access on-foot between Greenwich and the Isle of Dogs north of the river. There are also some very pleasant walks and fantastic views in Greenwich Park south of the campus. Walking is a great way to stay fit and healthy and lose weight. The campus is connected to many pedestrian footpaths including the Thames River Path. The Greenwich foot tunnel provides access on-foot between Greenwich and the Isle of Dogs north of the river. For more information on walking see the University’s Cycling and Walking page.